Planning & Coaching – Lois Abromitis Mackin, Ph.D.
Do you want to investigate your family history but don’t know where to start? Perhaps you’ve been doing research for a long time, or you’ve inherited research from family members, and you need help evaluating what you have and identifying what you should do next? 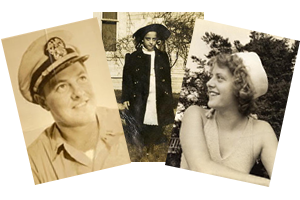 Customized coaching could be the jumpstart your family history needs! Clarify your family history goals. Perhaps you just want to explore your heritage and see what you find, or maybe you want to know how to solve a particular problem or mystery. Create a customized roadmap and plan for learning what you want to know about your family. The “right way” to solve a problem depends on the time and place. Lois can help you identify the records available where your ancestors lived, when they lived there. This will help you target your research and avoid spending time and money looking for resources that aren’t there. Review and evaluate previous research. A thorough review can help you identify gaps in the sources that have been consulted, point out inconsistencies in information located, and highlight new opportunities to find information. Help you learn how to use sources of information or record types you haven’t worked with before. Lois can explain what to expect from various record types, show you where to find them online or in physical repositories, help you find the most economical ways to get what you need, demonstrate how to work with the records, and provide guidance and suggestions for interpreting your findings. Provide ideas and tools for organizing information. It’s easy to amass quantities of information, but harder to keep track of what resources have been searched and what information has been found. Often the solution to a genealogical problem is hidden in plain sight! Assist you in summarizing and documenting your research and conclusions. Whether you want to publish your research or not, building a solid case for your solution to a problem includes creating a soundly reasoned, coherently written conclusion. Lois can coach you in organizing information about the research you’ve conducted and setting forth the reasons you think your conclusion is the correct one. DNA testing is the newest tool in the genealogical toolbox. Have you tested your own or a relative’s DNA? Or perhaps you’re just considering testing. If you’d like help deciding where to test, navigating testing company websites, or understanding your test results, Lois can explain your DNA test results, help you interpret them, and provide suggestions for working with your matches, conducting further testing, or transferring test results. You can also schedule periodic check-in consultations with Lois to keep your research on track and assess your next steps. Contact Lois at lois@loismackin.com for more information. View Lois’ summary of fees and services.